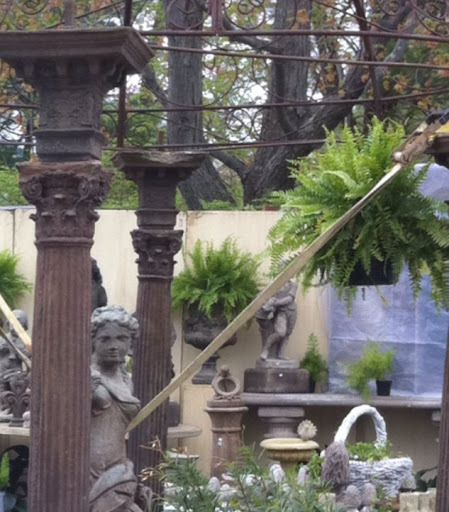 I have just returned from the Brimfield Antique Show, in Brimfield Massachusetts, it is a design junkies dream! I love walking and shopping, so I was in heaven. There were over 5,000 antique dealers selling their goods. I could have easily spent a week at the show and still would not see everything. 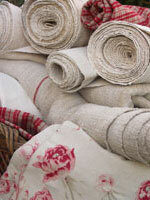 Brimfield takes place three times a year September, May and July. I am told by insiders that July is not the show to go to, as it is too hot. This show is amazing, it is the Woodstock of Antique shows. The farming community of Brimfield Massachusetts opened up their fields to dealers, these dealers set up tents or sell out of their trucks and vans. I, as you know if you read my blog love a deal..and there are plenty of deals to be found at Brimfield. The dealers are there to sell, remember that they have to pack it up if it does not sell…so make them an offer. My other piece of advice is if you like something buy it. I have lost deals many times. 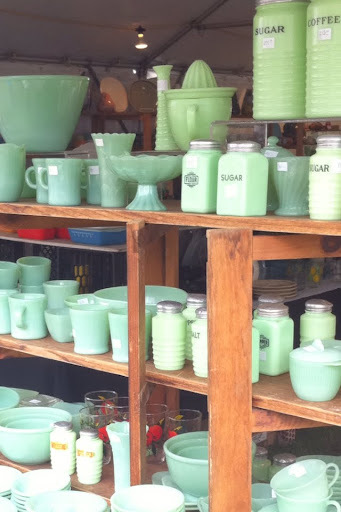 Brimfield has a wide variety of items from furniture to antique linens. You will be amazed by the selection. If you are a collector of anything vintage you must make this pilgrimage to this promise land of antiques! 1. DO bring plenty of cash — very few dealers accept checks or credit cards. 2. DO wear comfortable shoes. The days are long and you are walking through wet fields most of the time. 3. DO bring hand wipes. Many items are dusty and you’ll be touching a lot of pieces throughout the day. 4. DO remember to write down measurements of spaces you would like to fill. This will ensure your new find looks perfect. 5. DO get the hand-cut french fries at the food court (which offers everything from lobster rolls to ice-cream sundaes). 6. DO bring a large shopping bag with shoulder straps and possibly a handcart so that you can transport your finds back to the car. 1. DON’T sleep in.Except for special areas, most dealers are there at dawn. The later you sleep the less will be available to you. 2. DON’T walk away if you really love something. Chances are, it won’t be there when you come back. 3. DON’T bring only large bills. Be sure to start saving up your one dollar bills and quarters. Often, dealers don’t have change. 4. DON’T be shy about asking a dealer if he can give you a better price. They are used to customers asking politely to take some money off. 5. DON’T shop alone if this is your first visit. It’s good to have a trusted friend give his or her opinion on a possible purchase. I highly recommend making the trip to Brimfield. If you plan ahead for next year you can see New England in the fall! I am going to try to get my friend Susan who writes www.sneak-peek.me (If you have not looked at her blog it is great!) to come with me in May she will love it! I hope you enjoyed this post. Thank you for reading my blog. Please click the follow button and never miss a post!!! Thank you for your support, I am nothing without you, my loyal readers.